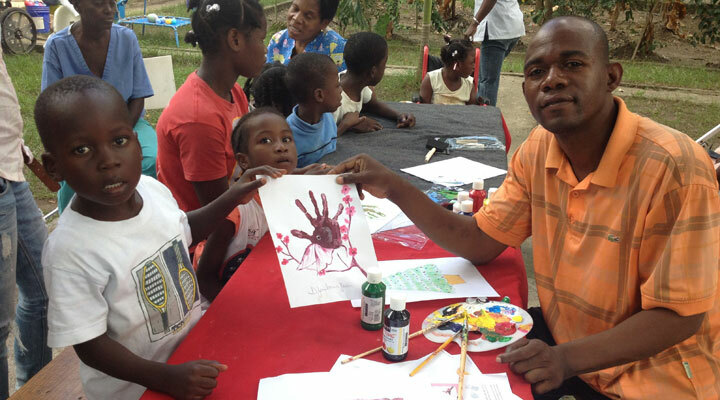 Operation Go Quickly believes that art has great therapeutic value and in some cases can lead to a source of income for those with impairments and their families. We promote the use of local materials often pioneered over the years by their able-bodied counterparts to make art more accessible to the impaired. For example, Operation Go Quickly supports Haitian artist Francillon Chery who has mastered the world renowned "drum" art famous in Haiti. Metal drums are recycled into beautiful pieces of natural and painted artwork created by the very talented Mr. Chery. 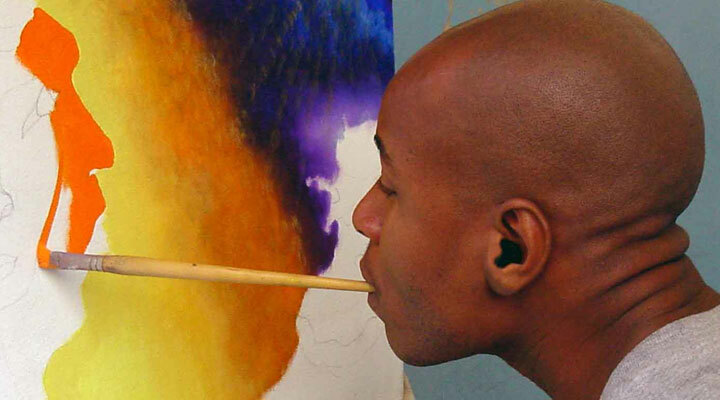 He is also a gifted acrylic artist creating works of art ranging from tropical landscapes to Christian themed paintings Operation Go Quickly is actively working to launch an arts training center for the impaired in Haiti where artists with disabilities like Mr. Chery can pass along their skills to others with impairments. Operation Go Quickly has assisted several artists with disabilities in their art sales and plans are underway to establish online marketing of their artwork. We also collect art supplies to distribute to aspiring artists with disabilities. Operation Go Quickly welcomes artists to join our volunteer teams to the emerging nations to share their skills and passion for art with their impaired counterparts. Hi! We met last night at the Church Project First Wednesday Service. The coach mentioned a kids soccer camp next Wednesday evening, June 13th, in South Houston. My 14 year old son would be very interested in attending. Could you please provide me with further information.